FLOW-Fusion is an experiential, integrative dance workshop designed to bring FLOW into your everyday life: Freedom, Love, Openness, and Wonder. 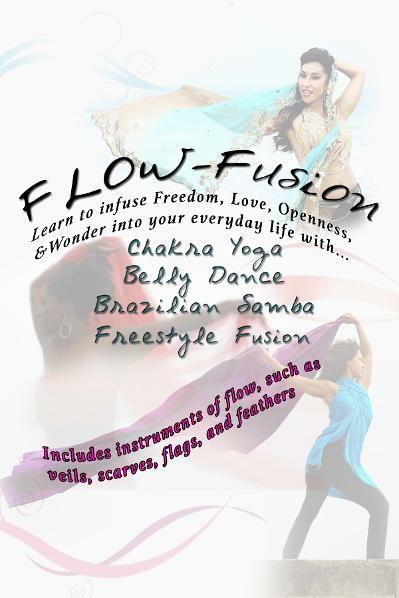 We aim to empower people to activate FLOW each day through the modalities of Chakra Yoga, Belly Dance, Brazilian Samba, Freestyle Fusion, and Instruments of flow. Freestyle Fusion is heart-based, expressive dance improvisation that incorporates holistic dance techniques taught in the other workshop segments. It’s a style that resonates perfectly at nightclubs, parties, or even in your living room. 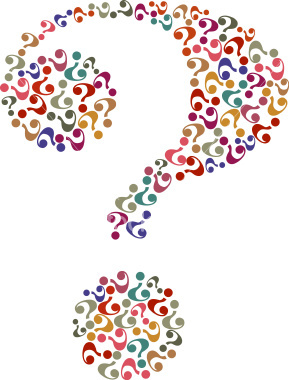 What are ‘Instruments of Flow’, and do I need them in order to participate? Instruments of FLOW can include any dance accessory that enhances one’s expression of FLOW. Examples are: veils, silk flags, scarves, and feathers. At this workshop, we’ll have instruments of flow for students to borrow during class, with the option to purchase afterward. $55 before Oct 1, $65 after. Ask about our Artist discount! Gypsy Love is a classically trained Belly Dancer and Pop fusion artist with over a decade of professional dance performance and instruction experience. She’s been a featured Headliner on San Francisco Pride’s Main Stage, and has Belly Danced for internationally acclaimed venues and festivals, including: Marrakech SF, Rakkasah, and Carnival of Stars. An accomplished Singer/Songwriter and owner of Gypsy Love Productions, Gypsy Love dedicates her life to inspiring love and unity with uplifting music and movement. Metronome is pleased to offer Gypsy Love’s Cabaret Belly Dance class every Tuesday at 7pm. Come feel the love! www.GypsyLoveProductions.com. Elizabeth Lund is a mind/body Fitness, Brazilian Samba, and Freestyle Fusion dance professional with over 16 years of experience. She was a Lead Dancer with Mingus Amungus, where she toured throughout Europe performing Brazilian Samba, Belly Dance, Salsa, and Lyrical Jazz. Elizabeth has opened for legendary artists Santana, The Neville Brothers, and Los Ban Ban, and was a Samba Dance Ambassador at the Shanghai International Music Festival. 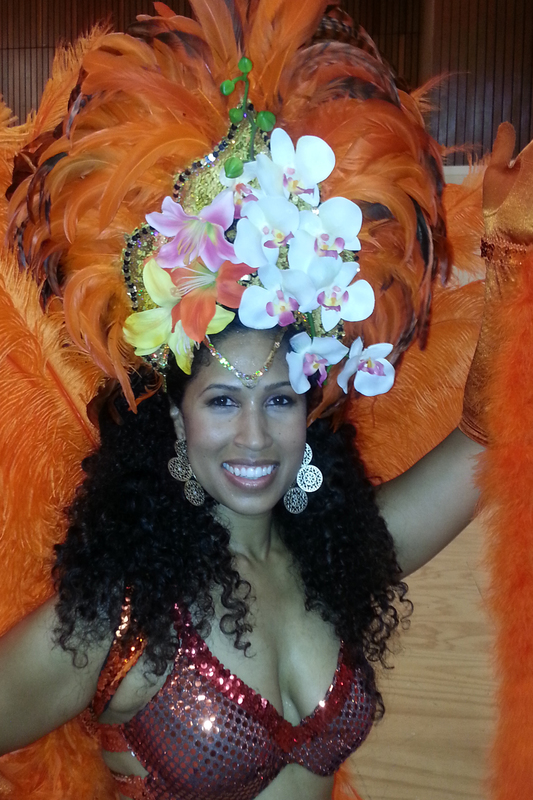 She was the Co-choreographer for Samba Do Coracao at San Francisco Carnival 2014. Our Special Surprise Guest is a Billboard 'Breakout Artist' and was named "Queen of the Night" by San Francisco's nightlife community. 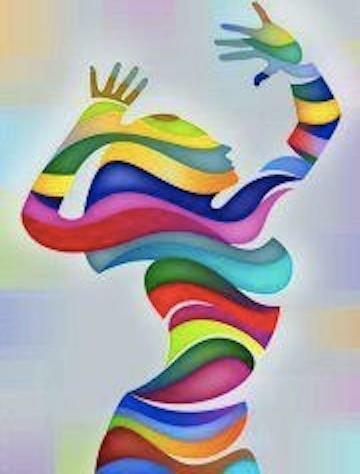 Her colorful dance background includes Salsa, Samba, West African, and Nightclub Freestyle. An industry-acclaimed Dance Music recording artist, she blends dance technique with skillful musicality to offer an integrative approach to heart-based dance.